In this article, we discuss our approach to performing an Openstack installation on Fedora using our RPM repository and Kickstart. When we first started working with OpenStack, we found that the most popular platform for deploying OpenStack was Ubuntu, which seemed like a viable option for us, as there are packages for it available, as well as plenty of documentation. However, our internal infrastructure is running on Fedora, so instead of migrating the full infrastructure to Ubuntu, we decided to make OpenStack Fedora-friendly. The challenge in using Fedora, however, is that there aren’t any packages, nor is there much documentation available. Details of how we worked around these limitations are discussed below. 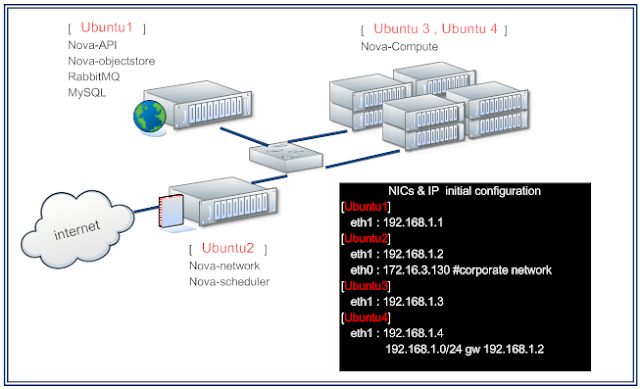 The complete blog post with detailed step by step directions athttp://mirantis.blogspot.com/2011/05/openstack-deployment-on-fedora-using.html.